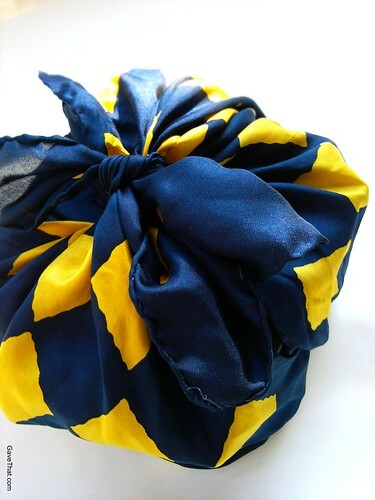 There are so many posts here highlighting the Japanese art of wrapping gifts using fabric known as Furoshiki but this is something that I've really been meaning to share. 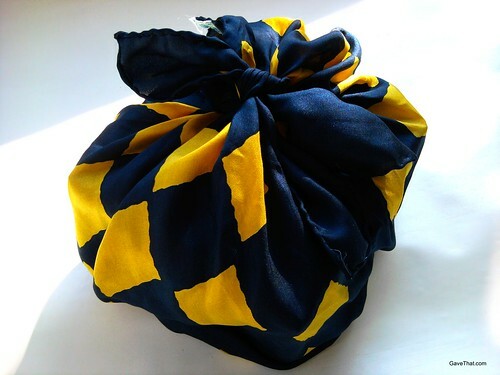 So many of you love Furoshiki here and want to see more of this technique! In Korea they also have a tradition of wrapping things in cloth called Bojagi and recently the Museum of Craft and Folk Art in San Francisco held an exhibition on it called Wrapping Traditions: Korean Textiles Now. Here is the video series touring the Museum which can be watched online. Watching the walk though was inspiring and it made me think of this vintage blue and gold silk scarf that had been tucked away for some time. A little Bojagi-ish? Real pieces of Bojagi cloth were originally a patchwork of pieces of recycled fabric precisely stitched together in such a way that the finished piece was reversible. The patterns, many of which were rectangular, also look so modern despite their age and have been embraced by quilters (remember Denyse Schmidt, my quilt now reminds me of Bojagi thanks to the exhibit). At the museum exhibit a number of the modern artists interpretation of Bojagi included paper pieces... definitely going to try that next as a way to reuse gift wrap and create gift bags! PS... for how to tie the above Bojagi inspired gift see this Lotus Bojagi wrap how-to video by bobowrapper. 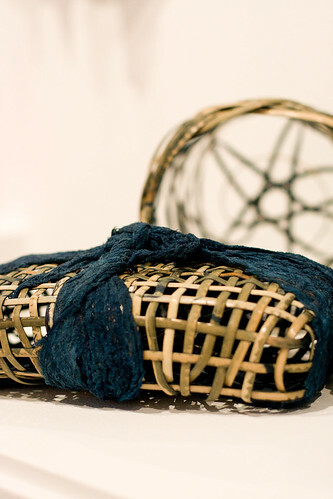 Image: mam for Gave That | Museum of Craft and Folk Art SF which sadly is closing its doors this year after 30 years.